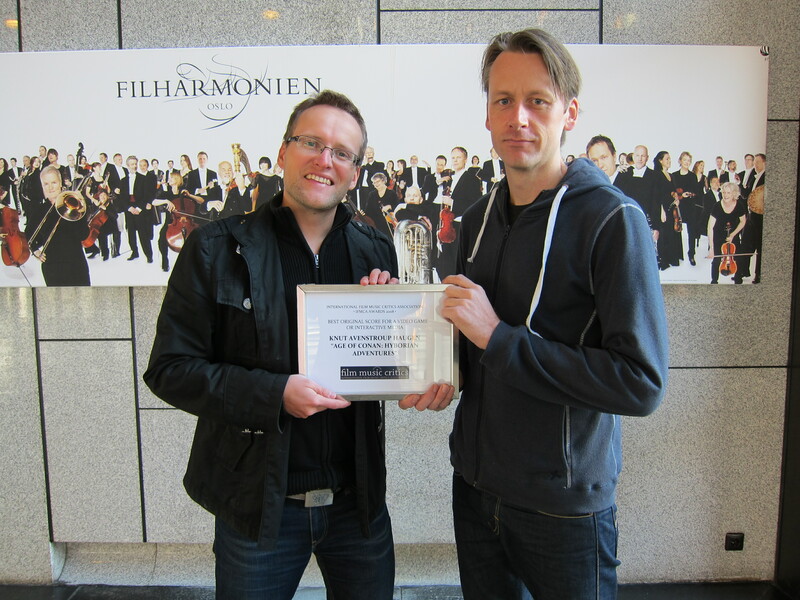 Composer Knut Avenstroup Haugen has been presented with the International Film Music Critics Association Award for Best Original Score for a Video Game or Interactive Media, for his score for Age of Conan: Hyborian Adventures, by IFMCA collaborator and film music journalist, Thor Joachim Haga. It took a good 4 years to set a meeting up with the composer, but both parties were extremely happy that this finally took place! 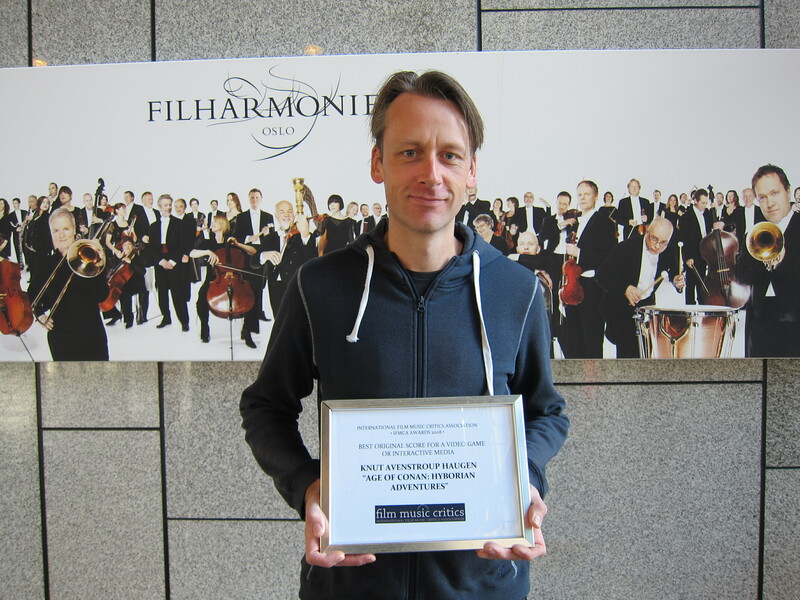 This is Knut’s first IFMCA win for the outstanding music he composed and produced for the video game Age of Conan: Hyborian Adventures which still attracts lots of attention even after 4 years from its original release date. The other nominees in the game / interactive media category that year (2008) were Afrika, music by Wataru Hokoyama, Gears of War 2 with music by Steve Jablonsky, Mercenaries 2: World in Flames by Chris Tilton and Star Wars: The Force Unleashed, music by Mark Griskey. Age of Conan: Hyborian Adventures was the first of a still on-going series of games, with the other 2 expansion packs of the original that followed, also scored by the same composer. The second one in the franchise, entitled Age of Conan – Rise of the Godslayer. 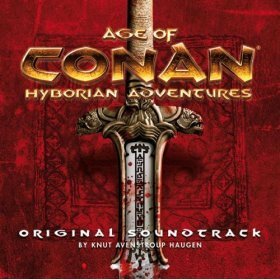 had a more western-orchestral direction whilst the third in the series, Age of Conan – The Savage Coast of Turan took a completely different approach, following the Middle-Eastern musical route; filled with organic elements such as acoustic ethnic instrumentation and vocals, it proved to be yet another fine addition to a very interesting game saga, especially musically-speaking. Knut’s ability to handle musical themes and melody was what took our attention over at the IFMCA with his first Conan game score, but listening to the rest of his work one still finds deep knowledge of both the western musical language but also vividly colored ethnomusicological knowledge from around the globe that tends to differentiate his music from the rest. Knut was educated as a composer, orchestrator, pianist and musicologist at the conservatories ofKristiansand(Norway) andUtrecht(The Netherlands) and at theUniversityofOslo. Knut used to work as a pianist and keyboardist, playing with symphony- and chamber orchestras as well as a number of different bands. 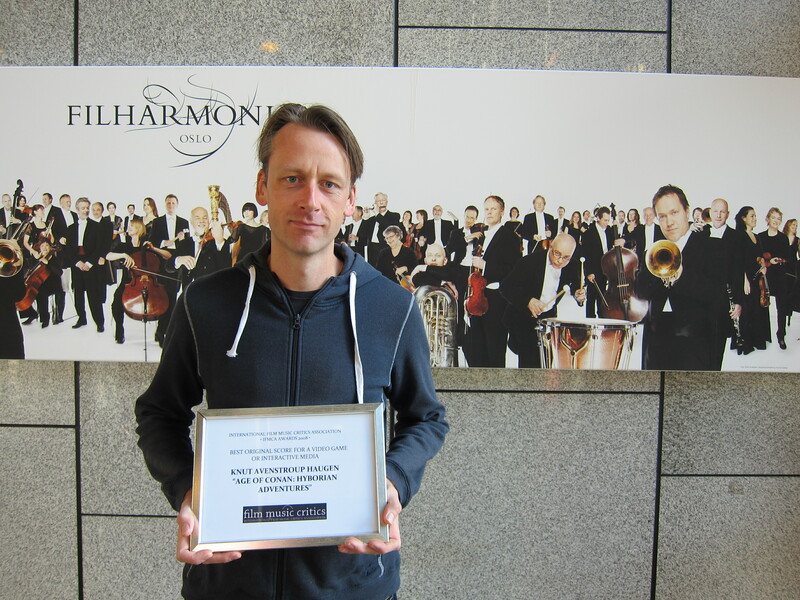 Today, in addition to his current career as a composer, he is a popular guest lecturer at universities and colleges inNorway. Along with his game and symphonic works, Knut has been commissioned to compose music for numerous occasions: The World Ski Championships, the 200th anniversary of theUniversityofOslo, the bicentennial ofNorway’s national poet Henrik Wergeland and the Oslo Opera Festival – for which he was also elected Festival Composer. 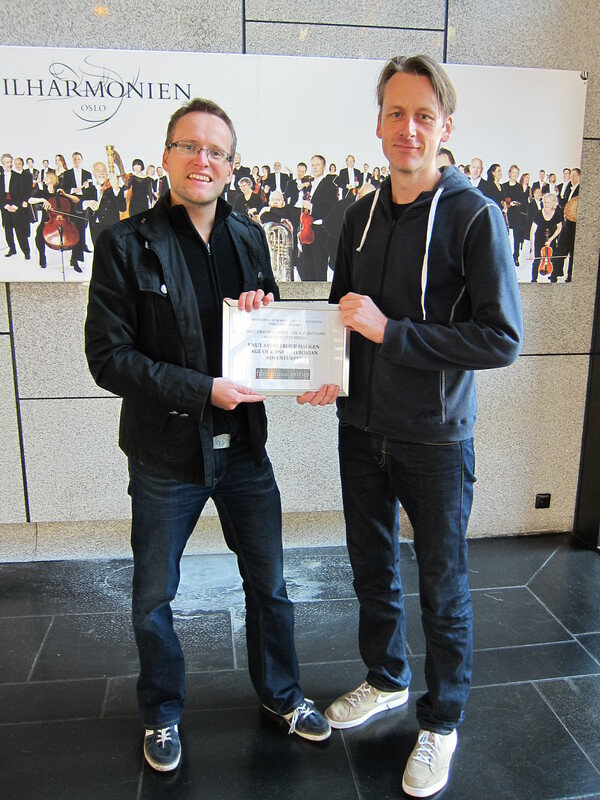 Along with his IFMCA award, Knut has also been honored with the Hollywood Music in Media Awards, the Amandas (Norwegian Film Awards), the Game Audio Network Guild Awards, the Ten Ton Hammer Best of the Decade Awards and the Game Music/Square Enix Music Online Awards. Our colleague and collaborator, Thor, met with the composer outside Oslo Concert House and was intrigued by Knut’s humble and forthcoming character. They chatted about Knut’s work as Thor had just attended his Conan concert in advance of the Jean Michel Jarre concert at the Oslo town hall a few years earlier and also discussed current projects and efforts in Norway to heighten awareness on film music and to protect the few local film music specialists – especially those that compose in a more symphonic idiom, through articles, events etc. Knut is already planning his branching out onto the films’ area, after years of doing videogames, and he already lists an undisclosed feature film project coming in 2013 and currently in production. 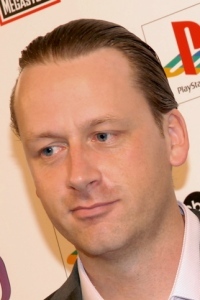 At the time of the meeting which was September, 2012, he had been working on a new animated version of Norway’s most popular film, Flåklypa Grand Prix (Pinchcliffe Grand Prix). Also, he announced on Facebook that he signed the contract with production company Maipo to score “Solan og Ludvig: Jul i Flåklypa” (Solan and Ludvig: Christmas in Pinchcliffe). Although reinvented and featuring the foremost in contemporary stop-motion animation, the film continues in the tradition of the 1975 classic Flåklypa Grand Prix/Pinchcliffe Grand Prix and sees the return of Kjell Aukrust’s best known and most beloved characters. The film is directed by Rasmus A. Sivertsen and is a collaboration between Maipo Film, Qvisten Animation and Kari og Kjell Aukrusts Stiftelse. The film opens in theaters Christmas 2013 and here’s the official page.